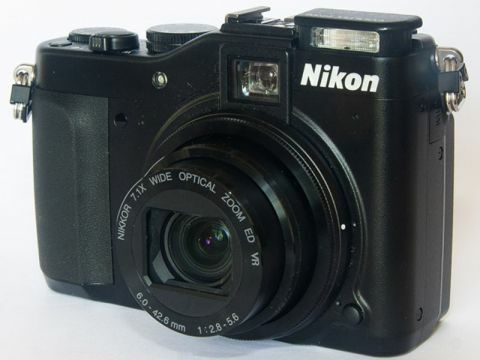 The revamped Coolpix line of Nikon compact cameras certainly has the look of quality. With the new Nikon P7000's classic black body and a range of manual dials, it seems on the surface perfect for photographers who know what they're doing and want a little more control over and quality from their digital compact camera. But with Nikon P7000 prices around £450, are you better off getting another DSLR to serve as your backup camera? With Nikon well in the ascendency in the DSLR market, the company is attempting to make hay while the sun shines. The Canon G-series has long been the choice of anyone looking for a (almost) pocketable compact to accompany their DSLR, but with Nikon DSLRs stealing more and more of the limelight, the 10.1MP, all-metal Nikon P7000 could be just the camera to sway Canon users away. With fancy features thin on the ground – 720p video is all you get – and enough manual controls to keep the most experienced photographers happy, the P7000 makes a huge first impression. But how is it in use?